Beaded anklets are the newest take on the ankle bracelet. Beaded jewelry has become one of the newest popular trends in fashion, with beads of all kinds making a show. Beads composed of pottery, glass, china, fimo, metal, and plastic are all the rage right now and are commonly displayed on necklaces, bracelets, as earrings and now even as anklets. The type of beads and the base materials for a beaded anklet can dictate the price, making some cheap but others highly expensive. The most common type of anklet out there is commonly found in jewelry among department stores, jewelers, shopping malls and boutiques and is a mixture of beads and silver. Others made with gold can be found at finer jewelry stores. 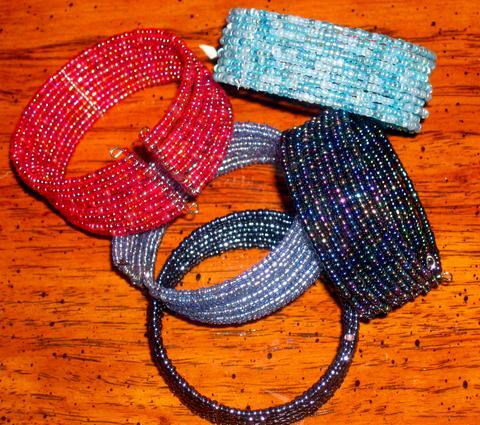 Some beaded anklets feature all natural materials, a mixture of leather string or twine; it is possible to get materials like these cheaply at a craft store and make your own beaded anklet. Some beaded anklets feature the beads as a fixed part of the bracelet and they are unmovable, featuring either gold or silver chain that is flexible or not between beads that are fixed in place. Some bracelets have the beads dangling off of the main bracelet for ultimate movement and attention. Others are thicker and have beads set in place in the main body of the beaded ankle bracelet. 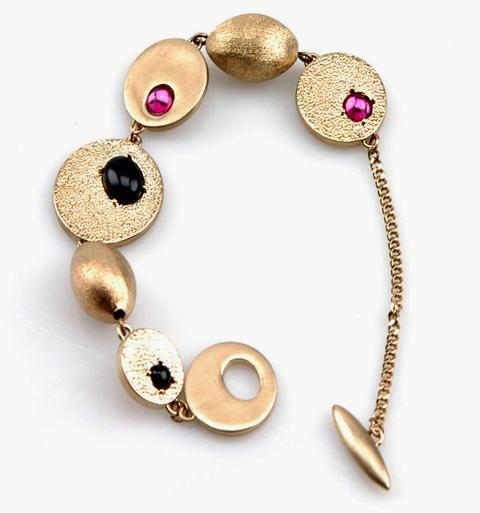 There are some bracelets, made usually with gold or silver, that are made by name brand jewelers and can be quite expensive. The beads themselves often included in the beaded anklet can tell a story. Some are a natural based material such as stone that compliments a person’s love for the outdoors and naturally existing materials. Others may be a birthstone or something meaningful to the wearer. 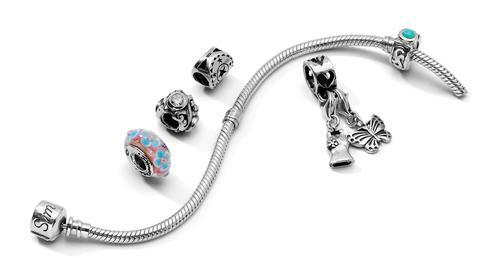 Some retailers carry beads that are actually considered charms by some people—stylized beads, figural beads, symbols, or beads that are part of a set and tell a story. Troll beads are one of the more common types of beads like this, often made from various materials and sometimes in shapes like animals, people, things, or as a set. Beads can tell a lot about the person who wears them, and some beaded anklets can be individualized by the addition of beads that are meaningful to the owner. These types of beaded anklets can get quite expensive, mainly due to the pricing of the beads. If considering making a beaded anklet from materials yourself, most craft and hobby stores carry a wide selection of beads and bracelet materials to construct what the wearer desires. Possibilities are endless, and in constructing a beaded anklet it is possible to make something that might otherwise be hard to find in a jewelry store or boutique. When buying or constructing a beaded anklet, it is important to take into account the size of the ankle of the wearer. Some pre-made anklets are adjustable while others are not. Allow for plenty of room so that the anklet can comfortable move with the wearer. This will also keep it from becoming damaged or broken. Regular cleaning will keep the anklet in good condition and prolong its life.